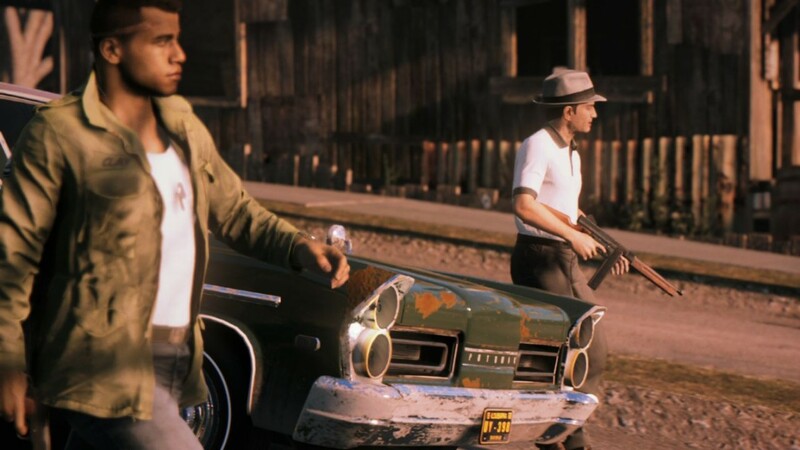 Mafia 3: does gang management offer an alternative to gangland shootings? Can you manage a criminal underworld in New Orleans without always having to resort to violence? In a weird way Mafia 3 seems just tailor-made to appeal to me. First there’s the the music: rock and blues classics of the late 60s are some of my favourites. Then there’s the protagonist: I’m just excited to see what appears to be an interesting, fleshed-out black character in the lead anti-hero role. A fake videogame New Orleans is a fascinating setting for this kind of game, so that’s a plus too. Several of my favourite films of all-time are the organized crime classics, but what interests me most about Mafia 3 is where it’s unconventional: the intersection of the black mob and the better-known Italian mob, plus a shift away from the ‘classic’ Godfather-esque post-war era and into something that’s not quite contemporary but certainly more in recent memory. Mafia 3’s E3 demo was sadly a hands-off affair, but what was on offer is still worth talking about. It’s an action-packed, ludicrous half-hour ride that’s one of the smarter demos of a game I’ve seen, showing off a bit of driving, a lot of shooting, an impressive-looking action set-piece and finally some of the gang management mechanics. Here’s the thing: if you’re reading a site like VG247, chances are you really don’t need me to tell you about how the core of Mafia 3, the combat and city-going, works. It’s familiar. You handle protagonist Lincoln from a third-person perspective that’s looser and swimmier-looking when you’re unarmed and pulled into a sharper, tighter perspective when you pull out a weapon to aim. Sneaking up on enemies will allow for stealth kills that I honestly find a touch too sadistic on random, nameless goons, while driving is exactly what you’d expect, with a sprawling open world to explore visible on an expansive, icon-filled map that’s split into 10 distinct districts. So far so open-world, then. Each of the districts is home to a different particular flavour of organized crime and each has its own underboss who’ll no doubt become a thorn in Lincoln’s side in his fight to the top. Lincoln is looking to topple the Italian mob in the bloodiest way possible as revenge, and the best place to hit them is in their pocketbooks by disrupting their criminal operations. While I hope there’s other ways to disrupt in the final game, in this demo disruption comes in the form of shooting. In the E3 theatre Lincoln is guided to kill the boss of a brothel and sneaks his way in before loudly shooting the boss in the head. At this point reinforcements pour in and Lincoln calls some of his own. Both the stealthing in and the firefight out of the brothel look pretty damn good. There’s some animation jankiness that’s pretty standard-issue in open-world games, and if the game plays as good as it looks I can certainly forgive that. The second part of the hands-on is where things get a little more ludicrous. Lincoln is now assaulting a boat, but does so by setting off a massive chain of events that cause it to start listing on the river. Open world games don’t tend to often do set piece driven missions and levels because their open nature can often lead to frustrating design (Never forget: “All you had to do was follow the damn train, CJ!”), but what you get here is an enclosed mission within an open-world: the boat is obviously going to be a one-time thing, and that allows for some cool mid-mission destruction as it creaks, groans and shifts about on the water, struggling. All through this Lincoln is in a firefight that resembles more a typical third-person shooter than an open world game. Molotovs fly and he fights on until he reaches and brutally kills his target. All of this happens to an incredible soundtrack, though I’m not actually sure if this use of non-diegetic music outside of cars will be as-is in the final game – it’d be damn cool if so, mind. The most interesting part of the Mafio 3 E3 demo for me came at the close, and was the quietest. Lincoln recruits three deputies in the game, each with their own axe to grind against the mob and reason to support you. Such loyalties only go so far in the world of crime, though, and Mafia 3 aims to make you feel it. When you take over a district with missions like the explosive boat caper you’ll then assign it to one of your deputies. In this scenario, one deputy has been given much less a slice of your criminal empire than the others and he’s starting to tire. He warns you this at the ‘sit down’ – an in-game meeting where the four gather to discuss business. Each deputy offers certain bonuses to your empire and even a perk that can be used in-game, such as to wipe away some wanted level or bring in reinforcements, and giving them more influence will level those powers up. As a result, you may not be inclined to dish out slices of the city evenly. In this Mafia 3 E3 demo, Lincoln goes a step too far: he drives one of his deputies away forever. Their bonuses are lost, but worse they become his enemy, with the deputy in question here swearing he’ll put a bullet in Lincoln’s head the next time he sees him. There’s only one path for a would-be mob boss at this point: your old friend needs to die. 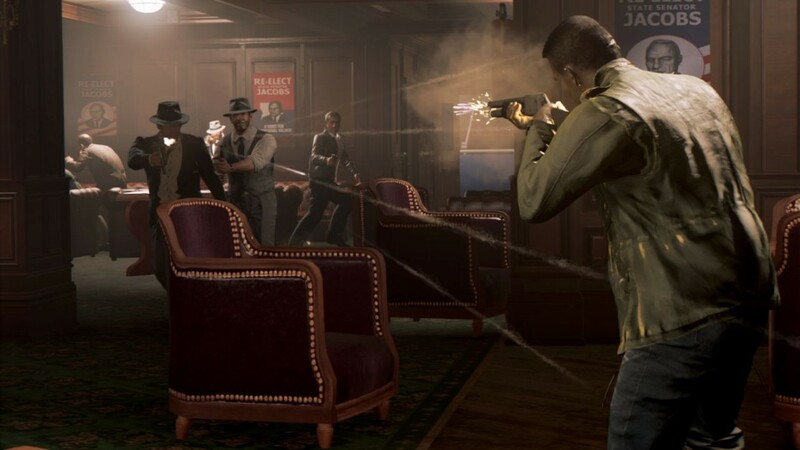 That’s how the demo ends, with another brutal assault on another compound of mobsters – except this time it’s one who was once your friend, and a mission that not all players will see, depending on how they play. This aspect of Mafia 3 is particularly exciting to me; I adored Mafia 2’s approach to storytelling and the idea of leaving even the smallest unique mark on such a narrative is an appealing one. 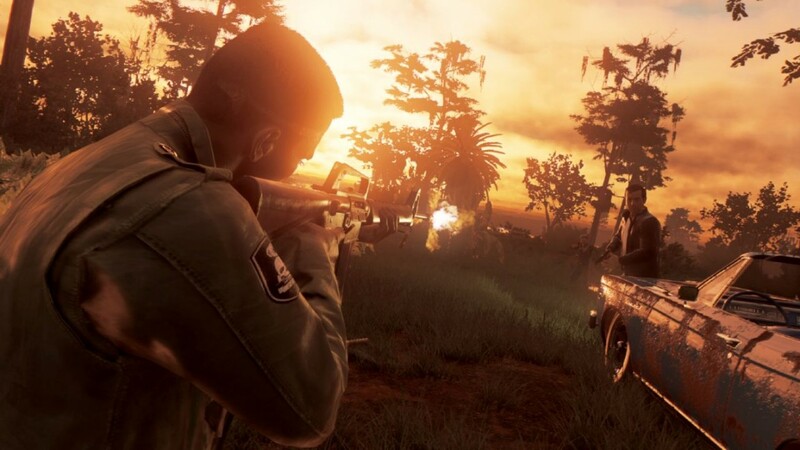 Bubbling beneath all this is the overall question of Mafia 3, however: it offers an interesting protagonist and setting, and a killer soundtrack and city to work with, but can it be more than brutal melee executions and endless shooting? In places Mafia 3 has nuance, such as in how it unflinchingly handles race, with Lincoln attracting attention and slurs in areas of town where in 1968 a black man simply shouldn’t go. But his resolution to problems, at least in the two presentations I’ve seen so far, is always the same: Kill. 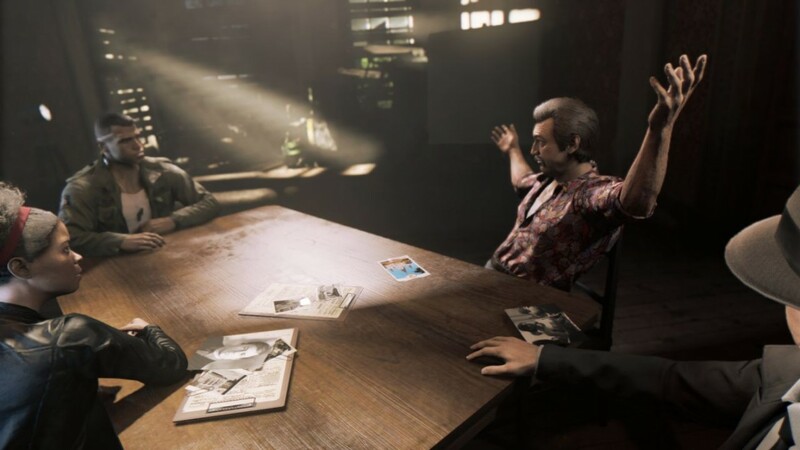 As good as the Mafia 3 E3 demo I saw was, it did revolve around that entirely, and I’m curious if things like the gang ‘sit downs’ will lead to other ways to resolve conflict. Whatever the case, it’s fair to say that 2K and Hangar 13, Mafia 3’s developers, have me interested already. We’ll see if Lincoln can learn to use more than just his shotgun come October. 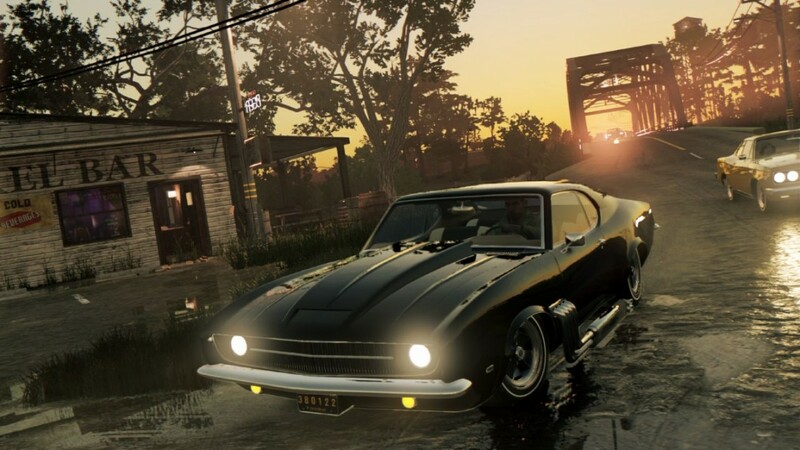 Mafia 3 is due for release on PS4, Xbox One and PC, October 7.